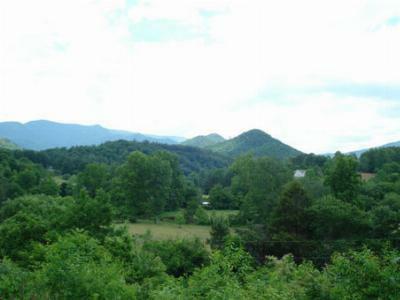 This home, located in Otto, has Fantastic Long Range Mountain Views! Unrestricted. 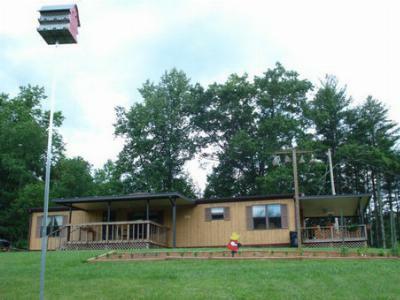 Two covered porches and open decks to drink it all in! Owners have taken pride in this home and yard. Organic Fenced Garden, grapes, blueberries, fruit trees...it's a showplace. 7 year new 12' X 14' powered outbuilding & additional shed with storage below being used for a root/wine cellar. Furniture stays including 52 TV, dishes and linens too! Block Foundation. Paved State Road, lots of Parking, Big Carport. Would qualify for FHA, USDA and VA financing.